Mike is an exceptional musician and singer. He had hip surgery in October and was healing well. Mike went back to work, but then promptly slipped on the ice and fell on that same hip! Now, off work again but without the cushion he had before. 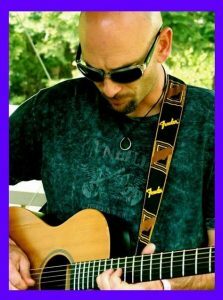 HELP support Mike and come in to hear him play and hopefully donate to his fund. ← Girl Scout Cookie & Wine Pairing!